The acronym "Yooper" refers to people who live in Michigan's upper peninsula (U.P.). The usual phrase given to folks living north of the Mackinac Bridge back in the 70's was "U.P.'ers". of his cartoons. At the time, the editor was Bob Skuggen. world which alot of people call Yooperland. . . and home! Thanks and enjoy ey?! Visit these Yooper Cartoons when you want a laugh . 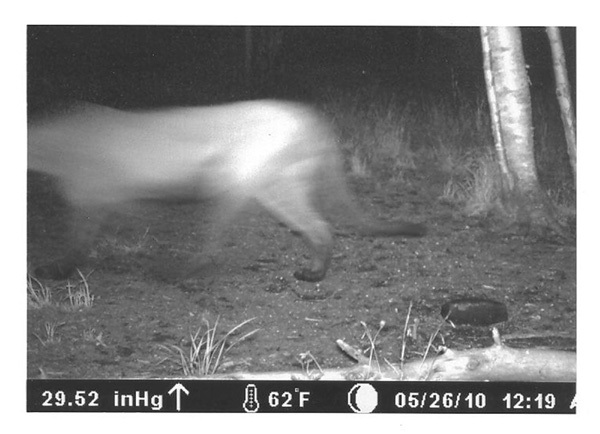 . .
KEWEENAW WALL - Info and photographs about the Copper Country's "natural wall"
Verified Proof That Cougars Are Roaming Michigan's Upper Peninsula! Michigan's u.p. has finally come full circle with the use of neat tech gadgets like trail cams. probably from climbing through brush and thick tree limbs looking for prey. see one, your odds are not as good as seeing the white tail deer which also proliferate our region. where you've seen big cat tracks or even glimpsed one but need proof! 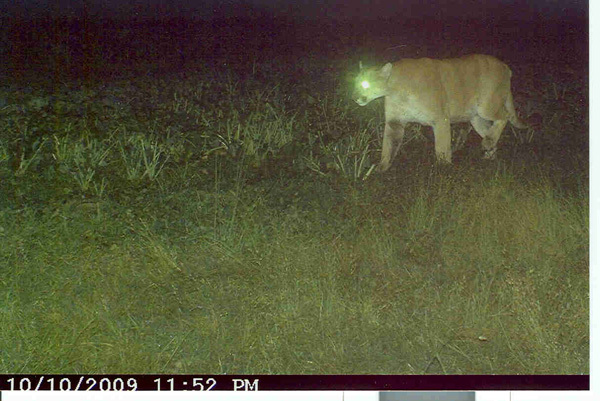 your path or even gets caught on one of your trail cameras! Lake Of The Clouds Fishing Video - U.P. Fishing at it's finest! fishing story is worth considering! coffee mugs, Yooper skate boards, Yooper kid's shoes, Neck ties for Yoopers, Stickers and more!! Australia Invites Upper Peninsula Residents To Plan A Visit! Learn a little about Michigan's Upper Peninsula by visiting these websites! City Of Marquette - Official web on Yooperland's capital city with much info! City Of Escanaba - Info for people visiting Eskymo land. "Esky"! You betcha! Ironwood Michigan! - Website for city of Ironwood with all kinds of links. Iron Mountain - Cool site featuring links and info on surrounding area! Sault St. Marie - Yooperland's eastern-most city connecting us to Canada! Ontonagon - Located on Superior's "West Coast". . . Ontos Valley! Houghton - The gateway to Michigan's Keweenaw & home to MTU! Hancock - "Across the creek" from Houghton. Home of Finlandia University. street but lots of friendly people! adventure seekers who like fishing, boating, hiking and swimming! L'anse Township - Located on beautiful Keweenaw Bay. Baraga - Published by Baraga County Chamber Of Commerce . . . lots of info! nearby attractions. Oh, and don't forget to visit the huge indian statue! Chassell - Home of St. Urho's Landing & the famous annual Strawberry Fest. links on other aspects of western Yooperland's "Iron Range"! Munising - All about one of the most beautiful places in Michigan's U.P.! WFRV - Nexstar affiliate broadcasting seen in Michigan's U.P. Map Of Michigan's Upper Peninsula . . . 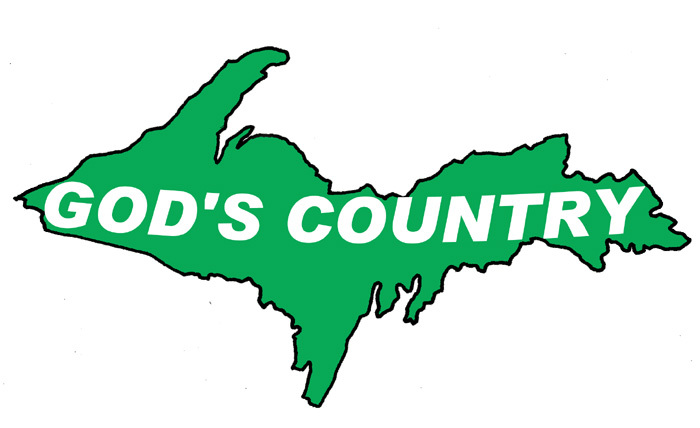 Better Known as Yooperland! Some Of The Best Sites Relating To Upper Michigan We Highly Recommend! Camp and Cabin - "Good Company for Cabin Dwellers"
ExploreMunising.com - A year round U.P. travel destination - Featured on NBC's Today Show! Yooper John's - Undoubtedly one of the coolest sites in southern Upper Michigan. JohnDee.com - One of the U.P. 's premiere weather specialists and a site with tons of U.P. info! or to get your site profiled with us! available for your enjoyment. Email your friends about Yooper-Michigan.com! ly papers throughout Upper Michigan. you have a product or concept. Michigan had realized the value of this word and attached their product or products to it. and on - but you get the picture. Yoopers don't need to sit in bumper to bumper "drive time" traffic to earn a paycheck. living in Northern Michigan is better than in some overly populated city infrastructure.